Raised and resides in Truckee, CA. Married to Chelsea Wicks. Father of two. A daughter, Madelyn and son, Jack. Two dogs, a yellow lab "Zega" and English Mastiff "Louie". Wicks Family Racing Team consist of brother and co-driver Kris Wicks, nephew Justin Wicks, friends Greg Johnson, Cris and Shane Curren, Zandy Willems, Rodney Lambert, Tim Nolan, Ben Dyer and Pip Justice. Started competing in cone dodging events in 2015. 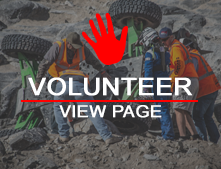 First race was King of the Hammers 4800 class in 2018. Plan on racing in both events at King of the Hammers 2019 if can LCQ in 4400 class. Plan on competing in the western series for 2019.